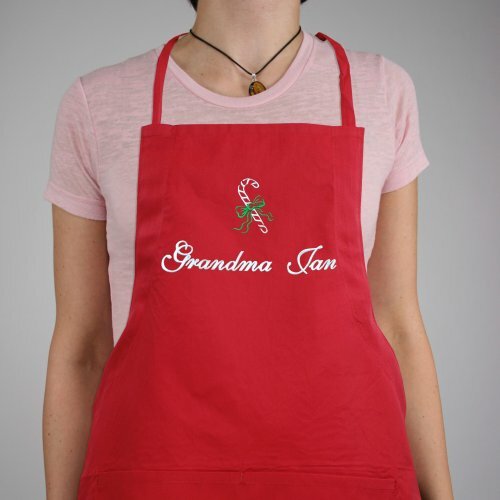 Outfit your special cook in our personalized candy cane apron. This sweet piece comes in red, blue or black and can be embroidered with any name or title. 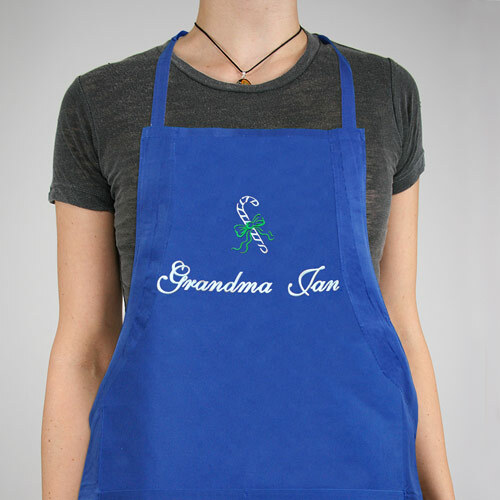 These full-length Personalized Christmas Aprons are made of 65/35 cotton/poly twill fabric and machine washable, and feature an adjustable neck, matching ties and multiple pockets for convenient storage. Cute apron! Especially for someone who loves baking during the Christmas season. Gave as a gift, friend LOVED it!!! 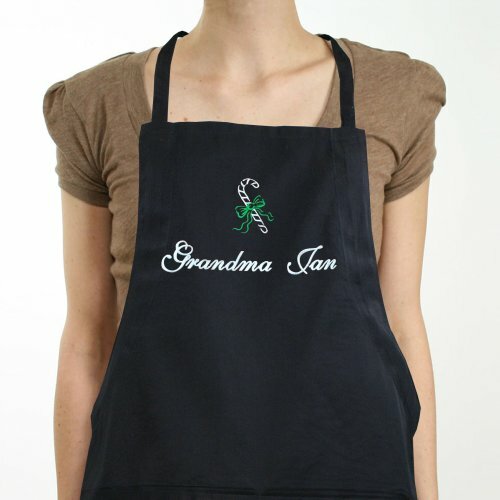 Love the Apron. The perfect accent to wear for the holiday season.